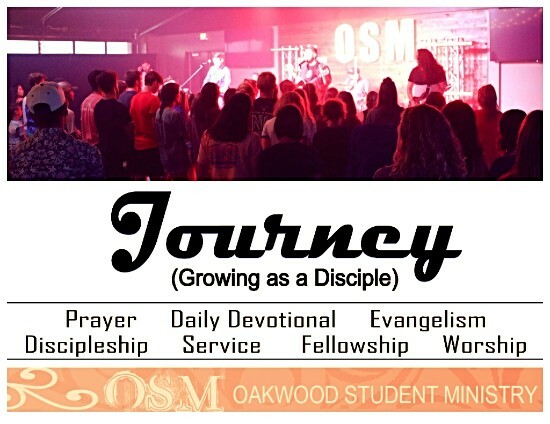 The Oakwood Student Ministry is launching a Personal Growth Track called JOURNEY for each grade in Middle School and High School. Are you looking for the next step on growing in your faith on the Journey of following Jesus Christ? This growth track will meet your student at their level and encourage them to take action. Cost: $20 for books and materials included. Find Pastor Brandon or an Oakwood Student Ministry Leader in the Pavilion to pick yours up!